Question: What is the difference between a Videographer and a Broadcast Cameraman? Answer: About £150/day without kit. This is a borrowed joke from an old friend of mine (name withheld, but thank you John), who was answering a facetious enquiry from a Lighting Director about his own job title compared to my friends €˜DOP€™ title. Whilst it might be argued that may be the only difference between LDs & DOPs, the same is not entirely true for Videographers & Broadcast Cameramen. That is not to say that Videographers are necessarily inferior to Broadcast Cameramen but certainly different. It remains a fact probably unfairly that Broadcast Cameramen get paid more then Videographers the latter being more filmmakers than just Camera Operators. Broadcast Cameramen are (or should be) concerned with the whole program, not just their own contribution, so the difference is not that great. So what is a Cameraman? By definition a Cameraman is a man or woman who operates a camera; be it stills or moving images, using film or electronic recording or live transmission technology. In other words, as far as Broadcast TV & Film Cameramen are concerned, it is someone who is selecting pictorial representations of what is in front of the camera. This, of course is also true of Videographers although they would not normally embrace live TV. One upon a moon - to be a cameraman was a prestigious occupation, regarded certainly as glamorous and carried an almost-professional status. In certain circles, top-end feature film, TV Drama etc. good Cameramen are still well respected as being at the top of their craft; so what makes a good Cameraman. Essentially it is training, GOOD training. Sadly many of those aspiring to become TV cameramen do not enter the market equipped with the basic craft skills required. However it must be said that at the lower end of TV broadcasting, particularly in the documentary and reality TV genres the employers (Producers, Directors etc.) do not have this training themselves, so are more than happy to take on these emerging students and use them as Cameramen and Videographers. You only have to watch those programmes to realise that those who made them often have little idea, or regard, for the basic principles of camerawork. Those partially trained students attempting to enter the world of multicamera TV find themselves on a very steep learning curve. So what is missing from their training? This of course varies from person to person, but in general it can be summarised as being taught at establishments that do not have the appropriate equipment for broadcast TV and/or do not have the teaching staff with sufficient and up to date experience in broadcast TV. Clearly there are training establishments which do turn out trainees with a good level of basic training, but the majority offering media studies, and a few offering filmmaking courses do not. A Camera Operator, regardless of whether they intend to market themselves as a Videographer or Cameraman, or are destined for Documentary & Reality work or Corporate, Drama, LE, Sport or Feature Film work, needs a certain basic knowledge & skill base to be of good use to any production company. This can be divided into practical skills and artistic skills; they are not mutually exclusive and can impact on each other, but I will deal with them in 2 parts. The artistic skills will be dealt with mostly in Part 2. The list of practical skills is long, too long to list fully in this article, but to highlight some we must start with Ohms Law. Everyone dealing with electrical equipment whether it is run on DC batteries, AC mains etc. 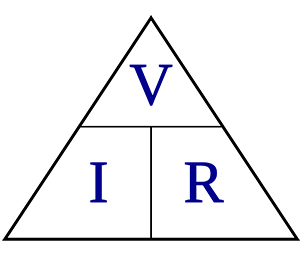 must be aware of the relationship between voltage, current and power, (thats Vo'lts, Amps & Watts) and be able to make calculations on consumption, fuse ratings, cable sizes, plug types, not to mention consideration for Health & Safety. TV Studios tend to be fairly safe environments as far as electrical safety is concerned, with Qualified Electrician on hand, but those working on Docs & Reality shoots often find themselves in business premises and private homes, which have potentially relatively unsafe electrical installations, and are more likely to be compromised with overloading. Time was when a PSC crew (and News Crews) had an electrician allocated to the shoot to take care of these matters, particularly cross-phase safety in larger premises. Now the Cameraman has to supply, maintain, rig and operate his own lighting equipment, requiring the skills and qualifications of a lighting electrician. Time management (turning up on time), Public Liability Insurance Cable husbandry (how to coil a cable) is rarely taught, Standard Shot sizes (WS, MS, MCU, BCU etc.) Talkback/Walkie-Talkie discipline. How to keep focus; pick the right pivot points when moving the camera etc. etc. Hand held camerawork vs tripod consideration is often influenced by budget and time restrictions. Some handheld camerawork is good in so far as the shot is steady and appropriately framed, but being handheld in itself can be inappropriate to the subject matter being filmed; more of that in Part 2. Much handheld work is not steady, sometimes simply because the camera operator has not been taught how to do it. But more worryingly the cameraman (possibly encouraged by the director- if there is one) seems to think they are being clever or even artistic by wobbling the camera or constantly moving around with the camera in a fidgety way, even some studio directors seem to need to keep the wide-shot moving on a studio interview without due regard on the effect it may be having on the viewers experience and ability to concentrate on the subject matter, it is at best an attempt to make the programme more visually interesting, but more often it is done in the context of following fashion.